On Fridays I like to post one image I took that week that makes me happy. 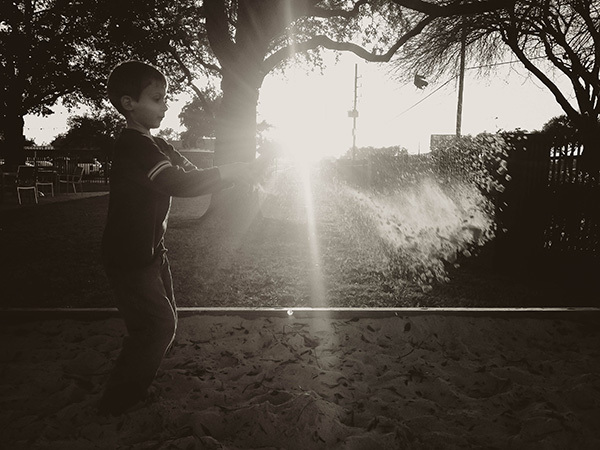 This one combines a sandbox, natural sun flare, a boy, and a setting sun and it really makes me smile. Great picture!! It makes me smile to- it's all the good things in the world all wrapped up!